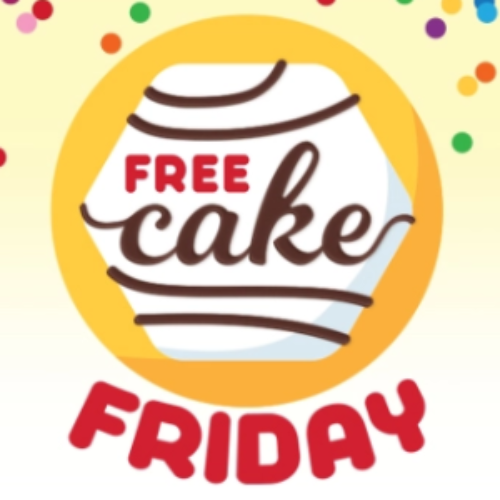 You can enter the Free Cake Friday Giveaway from Little Debbie for your chance to win an entire case of Little Debbie snacks! You enter the giveaway daily and then every week on Friday Little Debbie chooses a new lucky winner to receive a case of tasty goodies. Each month, the Little Debbie product being given away weekly changes. Entry ends September 6, 2019. 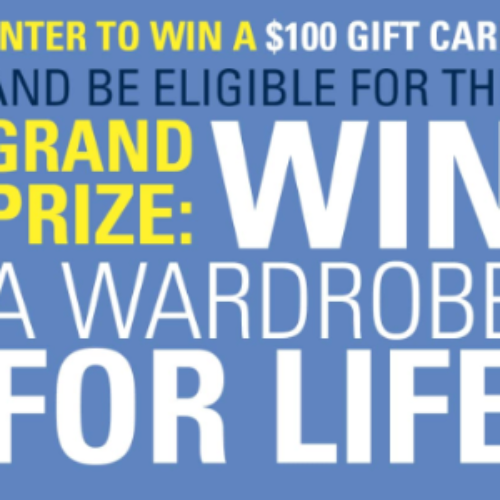 You can enter the “Wardrobe For Life” Sweepstakes from KingSize Direct for your chance to win the grand prize of a wardrobe for life in the form of a $6,000 KingSize gift card. You’ll also have a chance to win one of eight $100 KingSize gift card. To enter, you’ll need to submit a photo of yourself wearing KingSize clothing. You can also enter on Facebook, Instagram or by mail. Entry ends September 30, 2019. 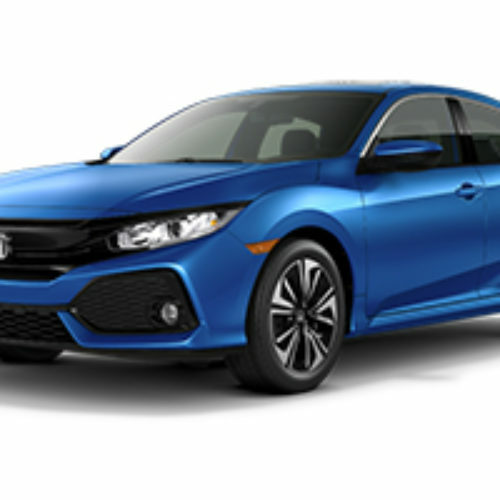 You can enter the Honda Civic Tour Sweepstakes from Honda for your chance to win one of two amazing prizes that include a Honda Civic of your choice valued up to $38,000 or a custom Honda Rebel 300 motorcycle valued up to $12,000. Entry ends September 30, 2018. 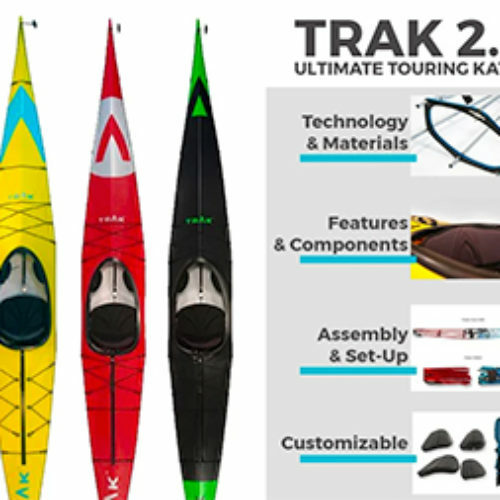 You can enter the Trak Sweepstakes from Paddling.com for your chance to win a Trak 2.0 16ft Ultimate Touring Kayak that’s tough, light, and versatile. Its 10 min set-up and travel bag system allows you to get it around with ease. Entry ends September 26, 2018. 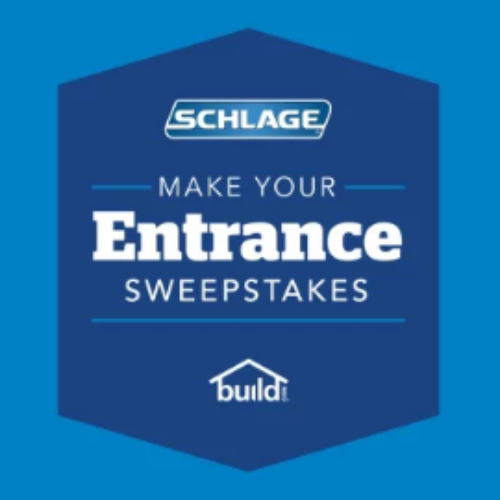 You can enter the Make Your Entrance Sweepstakes from Schlage for your chance to win a $1,000 Build.com gift card, a Schlage Custom Handleset and a Schlage Connect Touchscreen Deadbolt. You can transform your entry way into one to remember. The total prize value is $1,500. Entry ends September 27, 2018. 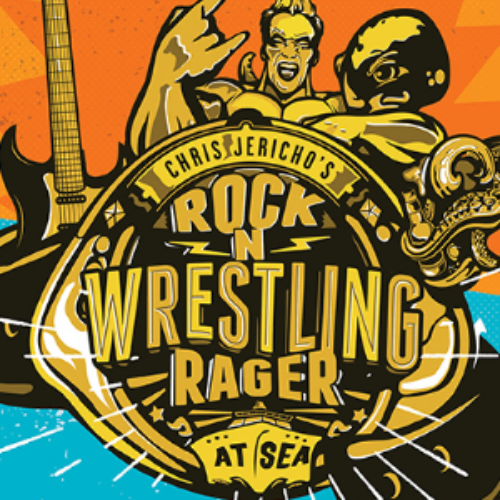 You can enter the Rock ‘N’ Wrestling Sweepstakes from Hot Topic for your chance to win a cruise for two (2) aboard Chris Jericho’s Rock ‘N’ Wrestling Rager At Sea that sails from Miami to Nassau. The prize is valued at $2,500. Entry ends September 23, 2018. 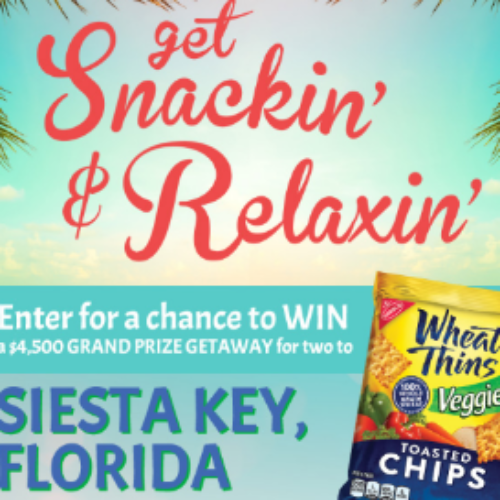 You can enter the Snackin’ & Relaxin’ Sweepstakes from Mondelez for your chance to win the grand prize getaway for two (2) to Siesta Key, FL valued at $4,500. The getaway includes airfare, accommodations, transportation, $1,000 spending cash and more. Plus 30 winners will receive a $50 travel gift card. Entry ends September 30, 2018. 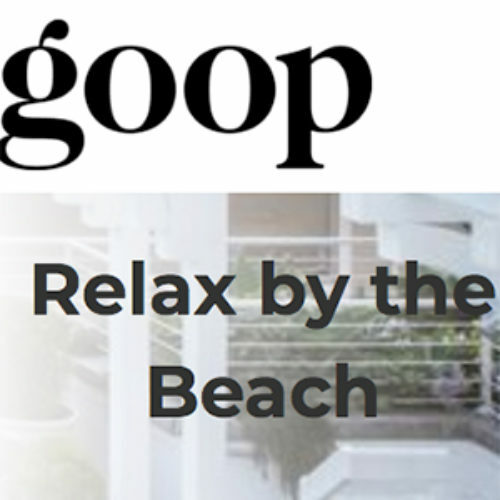 You can enter the Relax By The Beach Giveaway from Goop for your chance to win a 3-day, 2-night stay at Shutters on the Beach in Santa Monica, California, a $250 airline credit, a 1-year Pop Sugar subscription and more. Entry ends September 27, 2018. 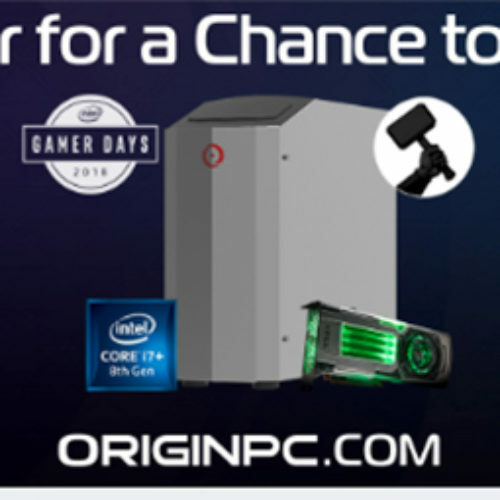 You can enter the Intel Gamer Days Sweepstakes from Origin PC for your chance to win an ORIGIN Millennium Gaming Desktop powered by the latest 8th generation Intel Core i7 8700K, Intel Optane Memory, and Intel Optane Storage. This high-powered desktop is valued at over $4,500. Entry ends September 16, 2018. 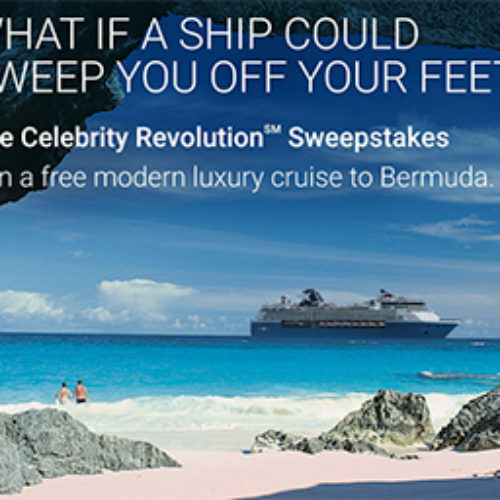 You can enter the Celebrity Revolution Sweepstakes from Cruise Critic for your chance to win a modern luxury cruise for two (2) to Bermuda aboard the Celebrity Summit valued at over $3,000. Entry ends September 30, 2018.